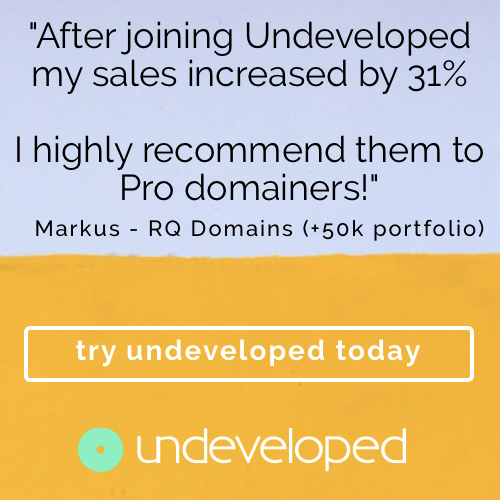 What happens after a .IN domain name expire? Before expiration Registar sends several renewal reminder emails to the registrants email account at regular intervals. Registrant has a fair amount of chance to renew the domain name until unless they totally forget to renew the domain name, this is how the policy has been drafted to favour the registrant. After the domain name expires, it goes through many statues / stages before being released to the public registration. Below are the important timelines based on .IN domain life cycle. .IN Domain Life cycle is indeed one of the best domain life cycles comparing to several other ccTLDs extensions. After the domain name is expired , registar can offer up to 45 days “auto renew grace period”. Please note auto renew grace period varies from registar to registar. I have personally experienced registars offering from 15 days to 45 days period. During the Auto renew grace period registrant is allowed to renew the domain name at the standard renewal price. If the registrant couldnt renew during the auto reenew grace period, domain name will enter into“Pending Delete Restorable” status, as per the domain life cycle defined in .IN policy the redemption period is a mandatory 30 days. During the redemption period registrant has the right to restore the domain name by paying a standard renewal fee+ restoration fee. It will around 60 USD to 100 USD in general , it can be more or less depends on the registar. Clearly the registrant has the right to restore the domain name paying the redemption fee. After the redemption period completes, registar fires a “delete command”, name enters the “final hold” period of 5 days before its available for public registration. This stage the status of the domain name will be changed to “Pending Schedule for Release”. At this stage it’s not possible for the registrant or registar to restore the domain name. What happened in case of DTV.in? DTV.in domain name has expired , domain name owner “Abdul” couldn’t renew for whatsoever reasons the domain name during the “Auto Renew Grace Period” too. Abdul has noticed the domain name has moved from his account to other reseller club members account the next day of the grace period , without entering the pending restration stage. After realising the same ,Abdul has approached the support team of Reseller Club requesting he want to restore the domain name and this domain name is important for him, in return Reseller Club support team has send a response to Abdul saying this domain name has been already handed over to another customer who has a placed a back order on this domain name. Here is the concern raised by Abdul to ResellerClub.com support team. “Sincere apologies for the delayed response. I shall certainly help to address your concern. 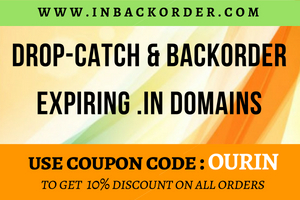 1 Domain name has been Deleted in the Money Back Period. 2 Domain name has a Back-order for it. If you wish to get the domain name back, we can initiate contact with the current registrant and check if they are willing to give away the domain. If they are willing to handover the domain there would be a restoration cost of INR 3300 involved in restoring the domain back into the old customer account. Abdul has approached Our.in , requesting a clarification whether its an acceptable behaviour on resellerclub end. It is a sensitive issue , as its between a registrant and a registar. We thought lets share with the .IN enthuiasts and collect the feedback on this issue. To the best of our knowledge it is wrong on reseller club to priroitise a backorder over an existing registrant rights. As per .IN policy the private registration is not allowed too , its a clear violation private registration and as well as backorder acceptance. We hope reseller club understand the breach of the policy and help the registrant on this one. Reseller club is the second largest .IN registar in terms volumes , highly reputable registar, certainly their support levels are also good. We assume this may be linked to a staff member’s lack of knowledge or could be a process gap, hope this issue will be resolved amicably. The above is just OUR.in opinion , we are no way the legal experts. We no way linked to either of the parties or registry too. You want to post your opinion , please share your opinion by posting a comment on this blog. Latest response from Reseller Club triggered a fundamental question – Is ICANN policy supersedes .IN Policy? based on their response looking this to be true.. any legal experts can respond to this question? thank you. Why now dtv.in is under whois privacy? According to .in regulations, .in domains can’t use whois privacy at all. What kind of “backorder” does Reseller Club mean? Do they offer backorder services and charge for that?